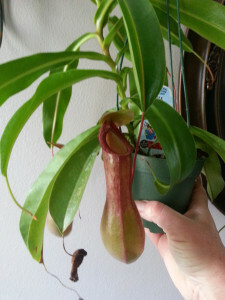 I have had my Tropical Pitcher Plant for 3 years now and have learned a lot. Within the first couple months I realized that I was not caring for this cool tropical plant correctly. The tropical Pitcher Plant does not like temperatures to dip below 50 and seems to thrive in the house in the fall/winter with temps around 65 in the east facing window where it receives morning sun. 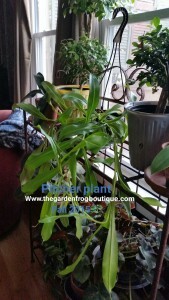 In January and February I moved the plant to the kitchen window above the sink where it faces south but does not receive direct sun because of the trees. The Pitcher Plant will not do well in full direct sun but loves a room with bright light. Do not use ice cubes, tap water, or cold water. Use room temperature filtered, rain, or tap water that has been sitting for a day or so. Tap water is not good for plants. I bring the plant in around the first week in October when the night time lows dip to around 50-55. I have found the plant loves to be in a shady area outside in the humidity of summer. 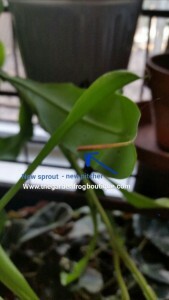 You do not have to water as much either and the bugs that this carvnivorous plant attracts will be the nutrients the plant needs. No fertilizer needed. 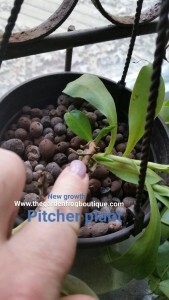 The plant grows large and the roots grow slower so the plant becomes quite top heavy. I recommend hanging the Pitcher Plant because the pitchers can get very large and heavy and the whole stem with leaves and pitchers will droop over the pot. 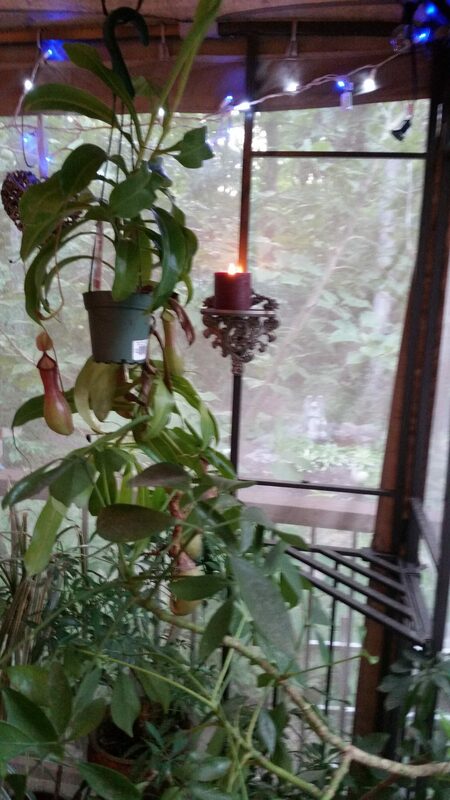 Right now my Pitcher plant is taking up lots of space on plant shelf because I do not have a window for it to hang right now. It is a cool conversation plant to have and right now my Pitcher Plant has no active Pitchers but sends off shoots at the end of the leaves that will eventually turn into pitchers. Do not let the pitchers on the plant get touched by the cold or they will slowly shrivel up. I hope I have given you enough information to take a chance and get one for yourself. Happy gardening and thanks for stopping by!